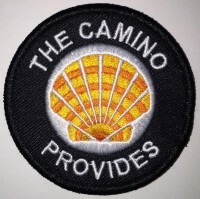 I have been busy working on designs for Camino Provides T-shirts and have narrowed down the best quality fabric and styles. I brought samples to recent events in the Bay Area so that pilgrims could see for themselves and purchase. Now I would love to see your votes on what styles I should sell through an online store.